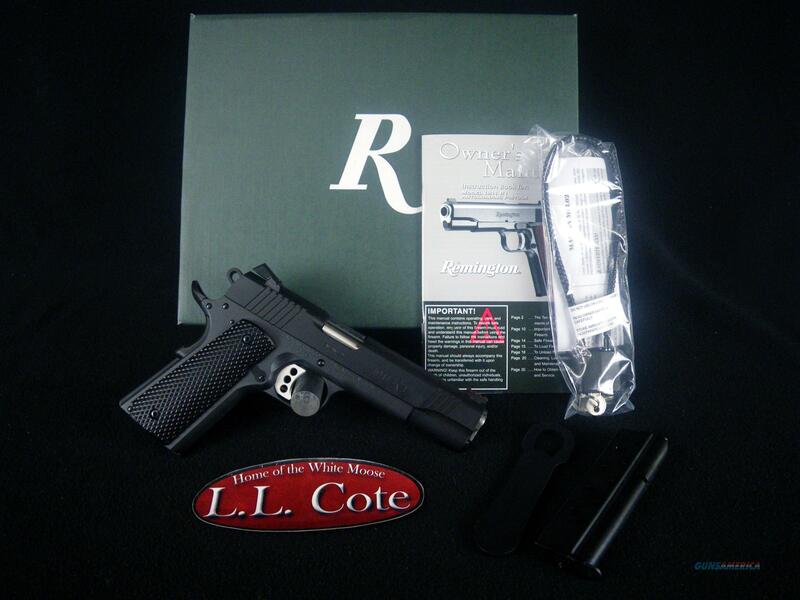 Description: You are bidding on a Remington 1911 R1 Enhanced in 9mm with a 5" barrel. A dominant force in competition. For sure handling, the flat mainspring housing and beavertail grip safety are checkered 20 LPI. Also features a robust fiber-optic front sight, extended performance trigger adjustable for overtravel, adjustable rear sight and two 9-round flush fit magazines. Displayed images are stock photos. Any questions please feel free to ask (our phone number is in the additional information tab above).